When I was much younger, I loved walking downtown to our local sweet shoppe with my little brother in hand and ordering a milk shake for the two of us to share for a sweet treat made with local fresh milk and ice cream. It just didn’t get any better than that. That fresh taste is sitll around today using only the tastiest of ingredients found in your local grocery store. Reading labels is becoming more and more important not only to hubby and I, but also in the meals and treats I make for the grandkids. 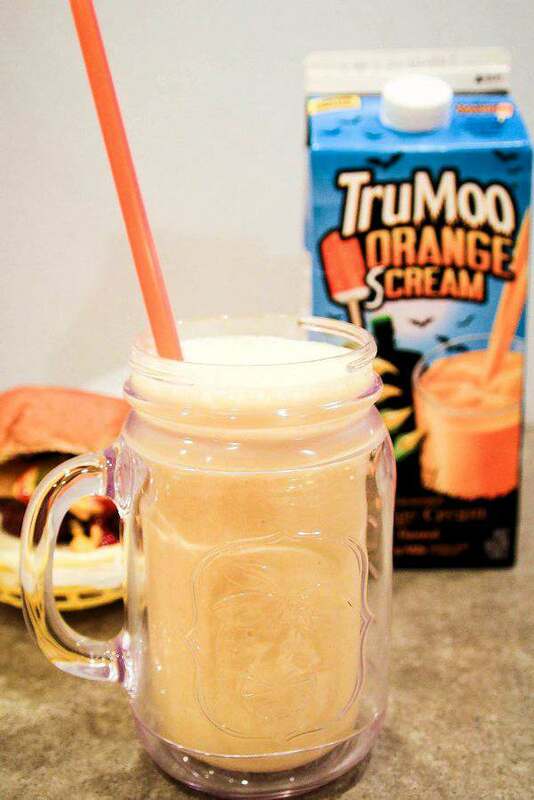 Today I am sharing with you a really tasty milk shake made with TruMoo Orange Scream milk. If you love the flavor of orange cream, you are going to love this and the kids will ask or should I say, beg for this milk. But you don’t have to tell them its made with 8 essential vitamins and is low in fat. I never did tell hubby that the milk was low in fat. 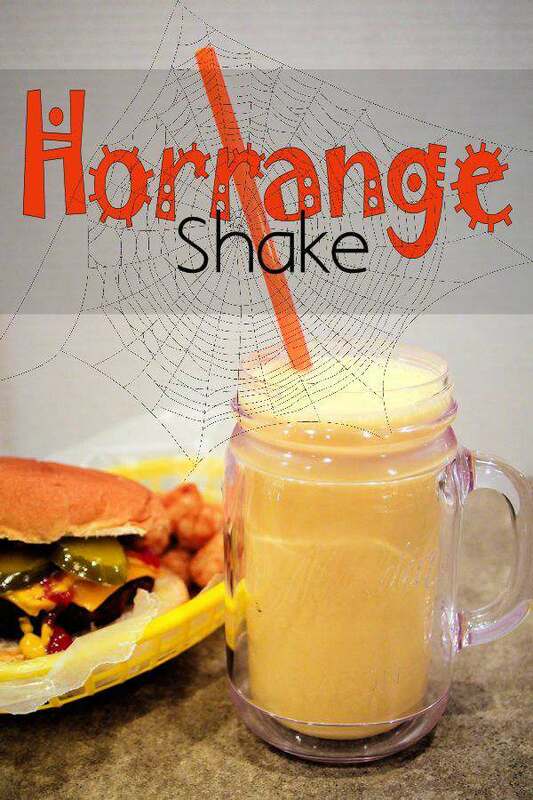 What a perfect milk shake for Halloween parties coming up and only 3 ingredients needed. 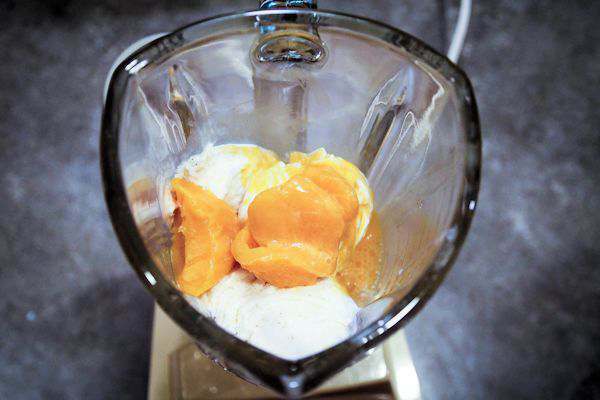 Put all ingrediants in a mixer and blend. Depending on how much orange flavor you want depends on the frozen orange juice concenrate you use. Too much and it will make the drink a bit bitter. Don’t you love the orange color and the taste so reminds me of those orange cream frozen bars we use to eat as kids. We grilled burgers, enjoyed our shakes and watched our favorite college football teams battle it out. Let me just say, it wasn’t a good day for my Tigers. Wanting to give your kids a great tasting milk full of nutrients? Try TruMoo milk and it also comes in a chocolate flavor too. Be sure to visit their website for more delicious TruMoo Halloween recipes. You can also fine the TruMoo community on Facebook and Pinterest for new and tasty ideas. Thanks Louida. It was really good. I have never seen that kind of milk before – I will have to look next time I go to the store. I am sure my kids would love the shake. Stopping by from Creative Style link up. 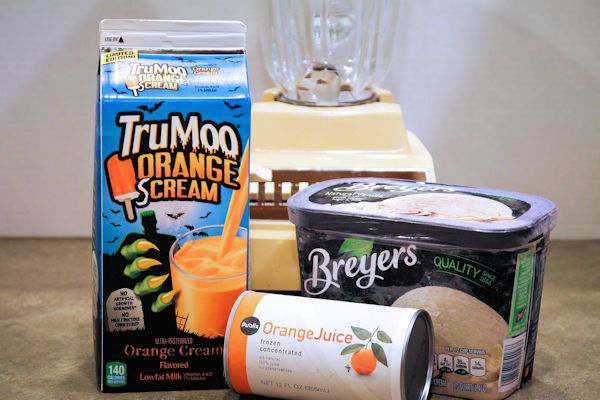 Oh, that orange scream milk sounds yum! My mom used to do this for me when I was sick with regular milk. It is one of my favorites! Oooh, dreamsicles! One of my favorite childhood treats in a milkshake. I know my whole family would love this! Thanks for linking up to the Bloggers Brags Pinterest party. Your post has been pinned! Thanks for sharing on PIntastic Pinteresting Party. I will be sharing and can’t wait to try!